The weird places that Windows 3.1 showed up throughout the ’90s, including a hated CD-i competitor and an unusual update of the Commodore 64. — Bill Gates, describing the appeal of Windows for Pen Computing, an operating system for early tablet based computers, in a 1991 marketing video for Windows. The program, ultimately released in 1992 as an offshoot of Windows 3.1, was one of many operating systems that supported the pen, including Go Corp.’s PenPoint. (Apple also took a stab, though its tablet never saw the light of day and it instead focused on its personal digital assistant, the Newton.) At the time, industry skepticism was high, for reasons that turned out to be warranted. Despite somewhat successful endeavors in the business market such as the GRiDPad, It took nearly 20 years for a viable consumer tablet to appear on the market—and it wasn’t made by Microsoft. The Philips CD-i was not a good system. 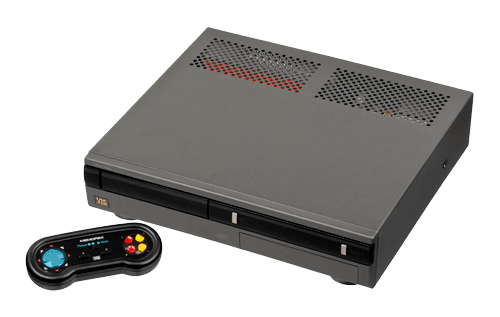 An interactive multimedia experience built by one of the companies responsible for the Compact Disc, it was initially sold as an “appliance”—a video game console stripped of all the things that make video game consoles good. Long story short, the Philips CD-i, for all its early innovation, was not a system concept to borrow from. Not even Otis Nixon could sell it. But for some bizarre reason, the folks at Tandy, the parent company of Radio Shack, apparently didn’t get the memo and thought that it was worth mimicking the CD-i model for all it was worth. The result of this effort was something called the Tandy Video Information System, or VIS. The resulting device, sold under the Memorex brand name at Radio Shack locations around the country (and promoted in this extremely chipper video), was a strange bet—as it came at a time when both the CD-i and a similar device, the Commodore CDTV (effectively a glorified Amiga, but surprisingly not the same as the CD32), were already struggling on the market. Tandy’s Video Information System (VIS), due in October, may have a better shot, say analysts and software developers. It will have the retailing power of 7,000 Radio Shack stores to distribute their product, an aggressive advertising campaign in times for the Christmas buying season, and a product that uses standard computer language, which makes it easier and more rewarding for software developers to create CD titles. In later years, Microsoft would come up with a number of different purpose-built versions of Windows (initially called Windows CE and later Windows Embedded Compact) for devices as diverse as video game consoles, smartphones, personal music players, and even cars. “Modular Windows” was one of the first. The Modular Windows logo in the code that appeared late in the game was probably the key thing that caused the split, with Microsoft sneaking the logo into the ROM at the release candidate phase of the project, getting yelled at to remove it, which they claimed they did, but the next object image, the new MS code was 20 odd bytes larger than the previous one with the logo in it, and 20K larger than the one before that which definitely didn’t have the logo. A disassembly of the latest Windows start-up code showed that Microsoft had hidden the logo but it was still there, and coded Modular Windows so that it displayed the logo if you appended an exclamation point to the executable name you wanted to run, something Microsoft was probably going to direct the third-party software writers to do the moment Tandy’s back was turned. Unfortunately for everyone who might have found a fight between Microsoft and Radio Shack to be incredibly entertaining to watch, the VIS just didn’t sell—collecting dust even after Radio Shack cut the price on the system in half. “To be honest, this system could have retailed for $39.95 and would still have been a bad value for the consumer—this console is truly that bad,” one collector wrote of this apparently wretched device. At one point, it probably did sell for $39.95. In a separate Usenet post in 1995, Durda noted that the machine had failed so horribly—it was liquidated via cut-rate sellers such as TigerDirect—that it caused Tandy, an important name in computing up to that point, to put out the white flag. The result is that the system is incredibly hard to find these days, with reportedly just 11,000 total units sold. (The software is actually somewhat common, however, and is for sale all over eBay.) It’s a remnant of a forgotten era full of bad multimedia devices that existed in a market that didn’t actually care about what they were selling. Despite that, apparently against all odds, the system has enthusiasts! A few years back, a Blogger user named Sly DC explained how he modded a game that existed only on a demo disc to be self-bootable, then modded the game (a shooter title named Spacenuts) to have graphics that matched his favorite arcade game, Vanguard. The year that Microsoft released Windows 3.2. Never heard of it? Well, it turns out it’s because it was an updated version of Windows 3.1 only sold for the Chinese market. Why just China? Beyond the sizable market, it took Microsoft a couple of tries to figure out Simplified Chinese input, and the company added a number of input methods to Windows 3.2 to help improve the situation. A variant is sitting at the Internet Archive, if you’re curious. 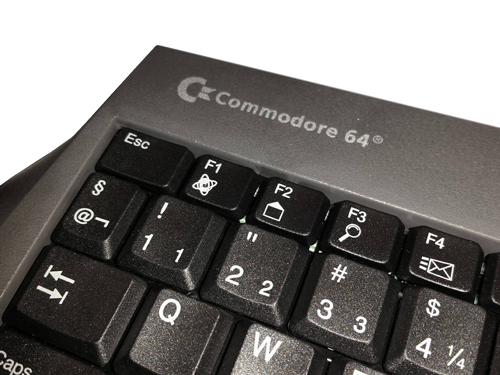 Remember in 1998 or so, when you thought Commodore was dead? Well, it turns out that it was a little more complicated than that. That year, a Dutch firm named Tulip had acquired the rights to the company’s trademark, and a secondary company, Web Computers International, started selling a device named the Web.it Internet Computer, perhaps one of the most truly bizarre mishmashes of computer hardware and software ever seen. According to de Volkskrant [in Dutch], Web International had affiliations with the former Commodore, including executives who used to work at the iconic computer firm, but the fragile nature of many of the companies involved—apparently, after it scooped up the Commodore name from a defunct company, Tulip itself went under before properly licensing the rights to Web International—likely made marketing the thing a challenging affair. But while there may have been latent influence from the former Commodore, the device itself was stylized much like the bottom half of an Apple PowerBook G3 from the era, complete with black trim and trackpad, but it was actually a headless desktop machine, complete with built-in keyboard, along the lines of what Commodore sold back in the day. It’s very much a looker—it was a black desktop machine when such a thing was still uncommon. Working with partners IBM and AMD, Web Computers International produced a machine that had backwards compatibility with old Commodore machines via emulation. But the really strange and fascinating thing about the machine is its operating system, which is an apparently unique-to-the-device version of Windows 3.1 called embOS. So then we looked at a number of other operating systems, like QNX, that are designed for settop websurfing boxes, but there were a number of issues with them. One thing we wanted was for the consumer to have lots of software choices that they could download themselves from the Net. So we chose Windows, and went with version 3.1 because there was an ROM version of it available, which there wasn’t for Windows 95. The operating system didn’t come with a traditional Program Manager as Windows 3.1 did at the time, but did come with a File Manager, a special frontend shell, and a set of decidedly non-Microsoft-focused productivity software, including Netscape Navigator 3.0 and a Lotus-based productivity suite. Oh, and the only version of the program you can find online is in German, though an English translation is apparently in the works and there are folks who are happily hacking the thing. Long story short, this may be the weirdest desktop computer ever produced—a machine sold under Commodore’s name by a company that didn’t own it, that relied on Windows 3.1 years after Windows 95 came out, that looked like a high-end Mac laptop from the era despite being a low-end PC desktop, and was designed, apparently, to compete with WebTV. There are so many layers of weird with this one I don’t know where to start. To finish off, I’d like to talk a second about a guy named Peter Tattam. Tattam, an Australian software engineer, developed a program called Trumpet Winsock. The program skillfully took advantage of an oversight by Microsoft. The Windows-makers, for reasons that involved a focus on its own approach and its ignorance of the internet’s potential, did not build software that allowed users with dial-up modems to directly connect to the internet—despite releasing Windows 3.11, a variant known as Windows for Workgroups, that specifically focused on networking. That was where Trumpet Winsock stepped in. Basically, it offered up a version of Microsoft’s Windows Sockets API, or Winsock, that allowed the internet’s networking protocols to speak with Windows’ graphical interfaces. 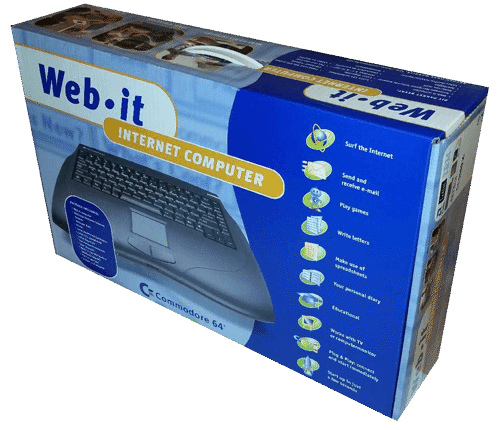 This opened up a lot of opportunities for internet use, especially after early web browsers such as NCSA Mosaic and Netscape entered the frame. The software, sold as shareware, was hugely successful, distributed by internet service providers the world over—understandably, as you kind of needed it to use the graphical internet on Windows 3.1. In the years before Microsoft got the idea and developed its own way of easily setting up dial-up internet connections, Trumpet Winsock was the way to go. The problem was that all those ISPs freely distributing Trumpet Winsock often hadn’t paid for the full version, but distributed it anyway, meaning that Tattam’s work wasn’t as much of a financial success as it could have been. In 2011, this story surfaced in a dramatic way, when a fellow Australian computer user named Jacques Chester heard about Tattam’s situation and launched a site called Thanks for Trumpet Winsock, a campaign to donate to Tattam and pay back all those fees that most people forgot to pay back in the day. Tattam’s reaction to the news? He showed some goodwill of his own. The story of Trumpet Winsock is a feel-good story that almost wasn’t. We didn’t get enough stories quite like it from the Windows 3.1 era. Find this one an interesting read? Share it with a pal! And see you next time.